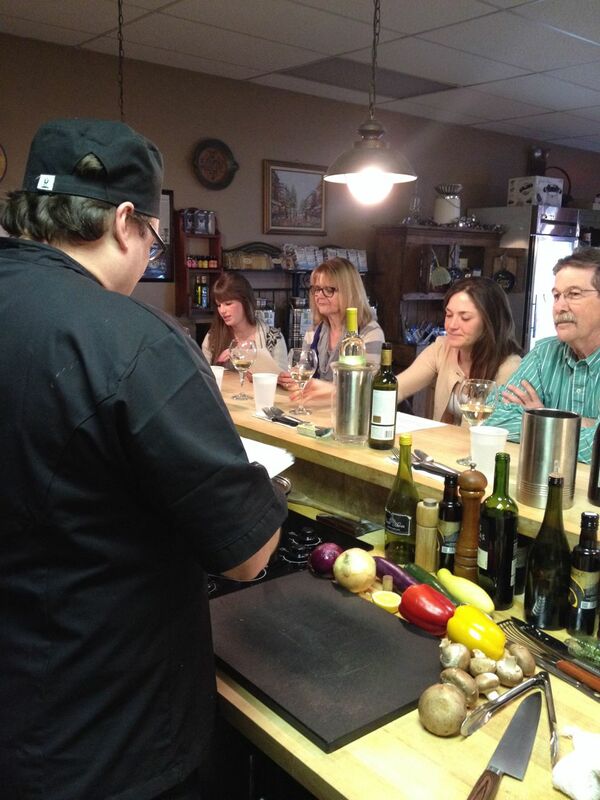 Last night, Chefs' Haven hosted a Private Class for 5 people. The idea for the class was to have a menu formatted around our "Low Carb/GlutenFree/High Flavor" Cooking Class. The one twist...one participant is Vegan. Everyone enjoyed the Roasted Red Pepper Soup (made with Vegetable Stock). 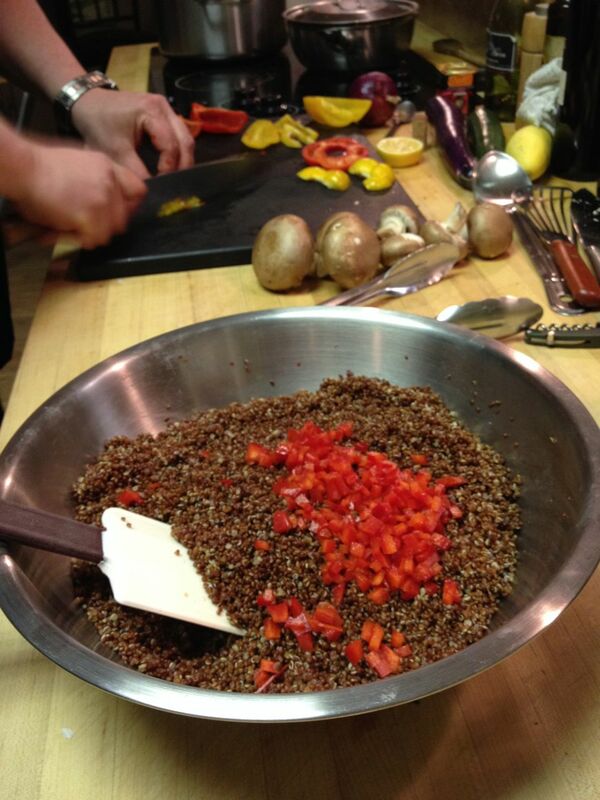 Next on the menu was our famous Quinoa Salad with Parsley Vinaigrette. This course is usually served with Grilled Tilapia, however, everyone enjoyed the salad without it. The salad was followed up by Seared Steak and Mashed Cauliflower with Caramelized Onions and Skillet Tomatoes with Fresh Herbs. Mashed Cauliflower with Caramelized Onions, Skillet Tomatoes and Roasted Vegetables were made to accommodate our one Vegan participant. 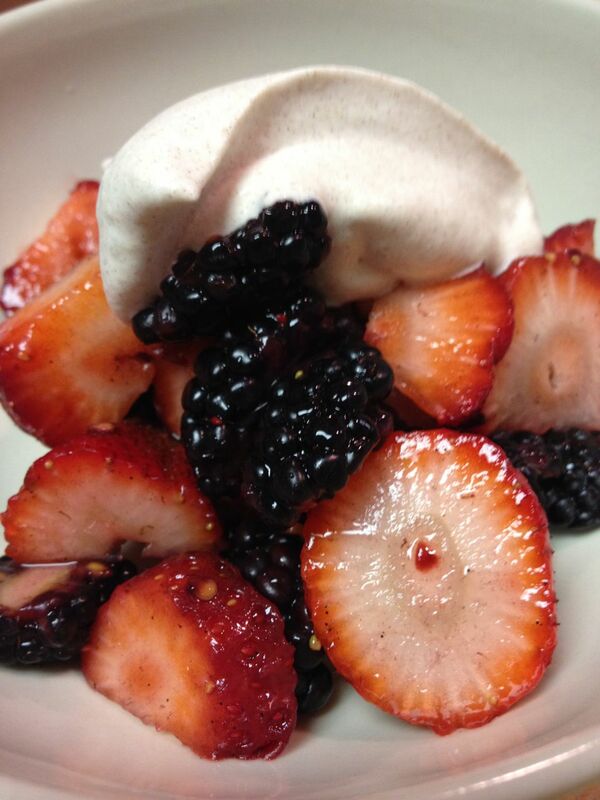 Dessert was Fresh Berries with Saigon Cinnamon Cream. The evening was great and everyone had a great time!